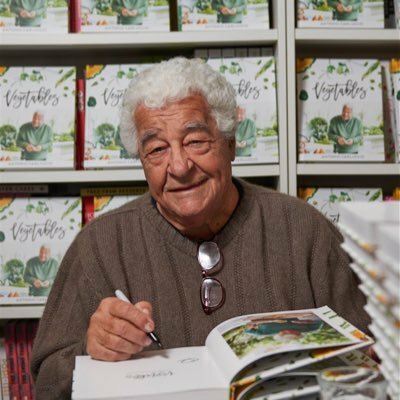 Antonio Carluccio has died, age 80. Josie's Juice was fortunate to share some quality time with the lovely Carluccio at his media event at a beautiful house in Bondi in October 2015, when he was in Australia as the face of Italian passata and peeled tomato brand Ciro. His death was announced on his website, by the restaurant business, Carluccio's, on Twitter and by his agent. His cause of death was not immediately revealed. Carluccio, who was born and raised in Italy, had restaurants in Britain, Turkey and the United Arab Emirates bearing his name. He also appeared in several television shows and wrote more than 22 cookbooks. "Antonio built Carluccio's from one restaurant to the fantastic brand it is today," the restaurant company said in a statement. "It isn't just Antonio's name above our doors, but his heart and soul lives and breathes throughout our restaurants." RIP big fella! We were thrilled to have some quality time with you and will be forever grateful for that time on the balcony overlooking Bondi beach. It is with great sadness that we announce Commendatore Antonio Carluccio OBE sadly passed away this morning.